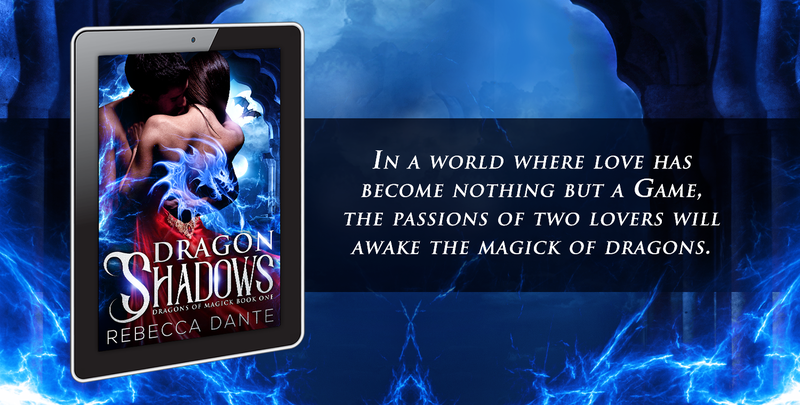 In a world where love has become nothing but a game, the passion of two lovers awakens dragons. Malcolm Truvain had led a charmed life – wealth, status and women. But after being cursed by his lover, all that he has is slipping from his hands. He’s shunned, thought to be a seducer, and perhaps a murderer. Worse, after being dragged by his Kin to attend the social event of the season, he finds himself possessed by a Dragon Shadow. His Shadow claims he can break his curse, but challenges Malcolm to meet his terms. When the last Courting Season ended with a disastrous love affair and the research project she was doing for the Duke put her life in danger, Constance Valorie felt she had enough of men. While she might yearn to return to her ordinary life as a librarian, fate will propel her to a destiny she never imagined. Her Dragon Shadow promises protection but the price will be high. Against them all stands a powerful enemy, Malcolm’s former lover, Celeste Wayfaire. She’s determined that Malcolm will never be able to escape her. Even if she has to destroy a world to do it. With dragons involved this courting game might just take the life of one of the players before the season finishes. Dragon Shadows contains several steamy passages between consenting lovers and is best suited for mature readers. When you produce a creative work, you automatically gain copyright but by filing you gain additional protection. Want to know more? I also obtained an ISBN Number for Dragon Shadows – buy directly here. Some basic info about ISBN numbers. If you plan on only self publishing at Amazon, you may not need this on your own, but I went this route for myself. This book is a work of fiction. Names, characters, places, and events in this book are either products of the author’s imagination or are used fictitiously. Any resemblance to actual events, places or persons, living or dead, are purely coincidental. Next postDragon Shadows now available!